This week we are showcasing Carabelle Studio Products. You don’t have to use them for the challenge but if you have them we would love to see them used. I have used Carabelle Studio’s ET RONDS stamp set to make my card. 1. I started with a white cardstock panel which measured 4.25″x5.50″. 2. I white heat embossed the images from Carabelle Studio on the edges of the card panel. 3. I trimmed the panel to 4″x5.25″ in size and them sponged Blueprint Sketch, Twisted Citron and Salty Ocean distress inks on the edges fading to the middle. 4. I also white heat embossed the images on a scrap piece of cardstock and sponged the same distress inks. 5. I fuzzy cut the images from the scrap piece of paper to over lay on the main panel. 6. Before that I stamped the large sentiment from Simon Says Stamp Love stamp set using Versafine Black Onyx ink. I used mini MISTI to stamp the sentiment in middle of the panel and get good coverage. 7. I now over laid the cut images on the main panel using foam adhesive to add dimension. 8. The smaller sentiment is white heat embossed on black cardstock, trimmed and adhered using foam adhesives as well. 9. Final panel is adhered on Fog card base. Here is a closeup of the dimension. So now it’s YOUR turn to get crafty!! Oh wow this is gorgeous, such beautiful ink blending. 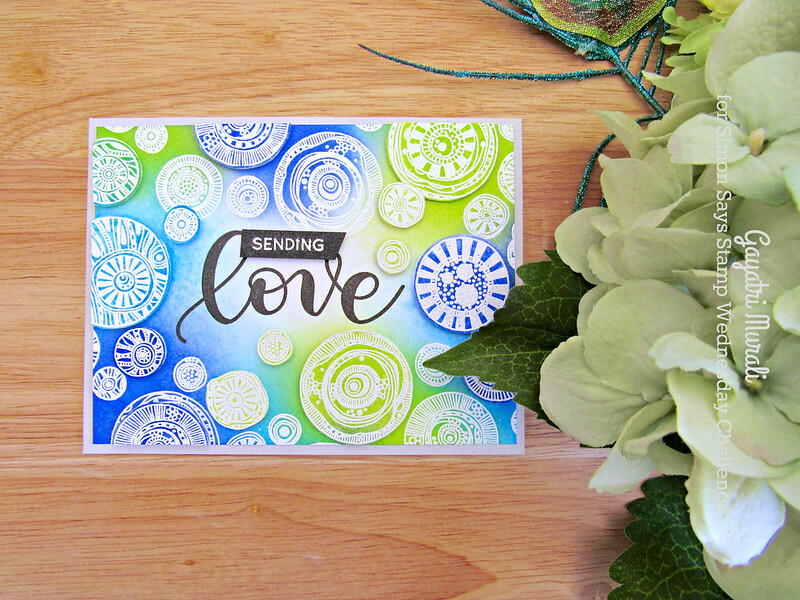 Love these fresh colors with the white embossing, Gayatri, and the way you raised up some of the circles! 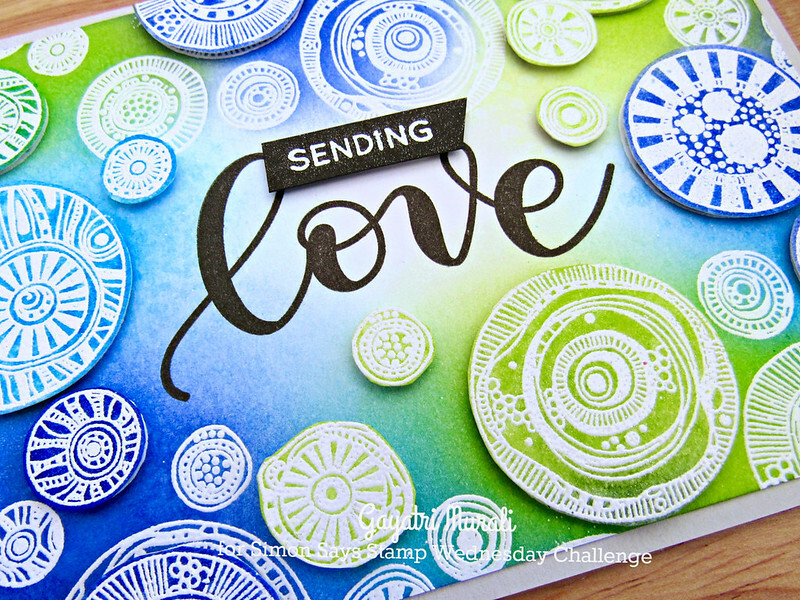 LOVE the colors you blended together and the pop of resist embossing is just so gorgeous! Bravo! I love this stamp and the colors are gorgeous!